You all know I love ALDI grocery stores! I am actually kind of obsessed with them, and I make that very well known here. After all, I've created entire Aldi meal plans surrounding their products. First you will want to download the Checkout51 App. First, make sure you browse their offers and buy products at any store. Then, upload your receipt using Checkout 51. They'll confirm your purchase and credit your account. When your account balance reaches $20, you can cash out and they'll mail you a check. 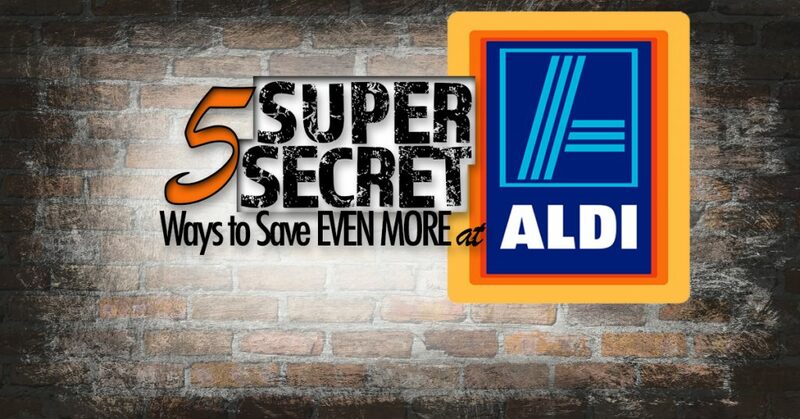 As an example – if one of their offers is $0.50 off eggs, you can purchase eggs at Aldi, and get $0.50 into your Checkout51 account. Download the ReceiptHog App and use referral code huf61958. Scan your grocery receipt into the app and earn coins. Trade those coins in for gift cards to Amazon or cash via paypal. Over $100+ spent = 20 coins. 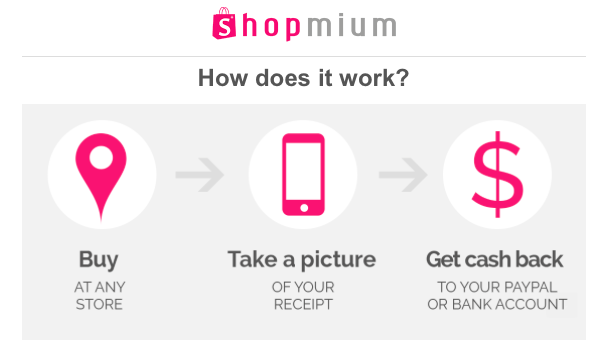 The Shopmium App is another app that gives you extra money back on your grocery purchases. Sign up for the app using my referral code KGHGFKKH and get a Free Lindt Chocolate Bar! It is not tied to any specific grocery store, but tied to the products you purchase. These tend to be name brand products, but often times you can find them in ALDI stores. ALDI actually has a decent amount of brand name products in their store, using the Shopmium App will help you save even more! The SNAP by Groupon app is a new app in the game – and lately they have been featuring 1-2 staples items per month that are not tied to a brand name. For example: Last month, if you purchased milk and then scanned your receipt into the SNAP app, you would earn $1.00 in your SNAP account for your milk purchase. And it doesn't matter what type of milk you bought – so this works GREAT at ALDI. The coolest thing is – if you have a $1.00 offer on milk in the SNAP app and the Checkout51 App, you can scan your receipt and earn $1.00 from BOTH apps. Before shopping at ALDI, check the prices of items compared across all your local stores. For example: If I have to stop and grab milk, I will check the Favado App and search for milk. Favado will then sort the prices for milk in my area, and show me the best price. Don't always assume Aldi has the lowest price, doing a quick search in the Favado App can provide you with an even better deal! 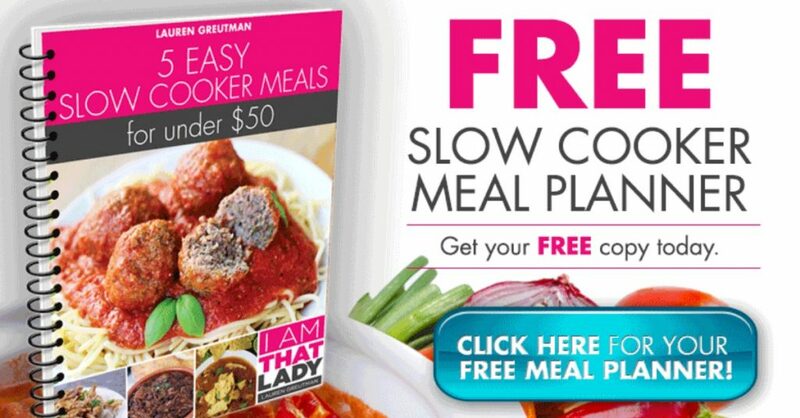 Download my FREE 5 day Aldi meal plan – learn how to make 5 freezer meals for under $50.00! 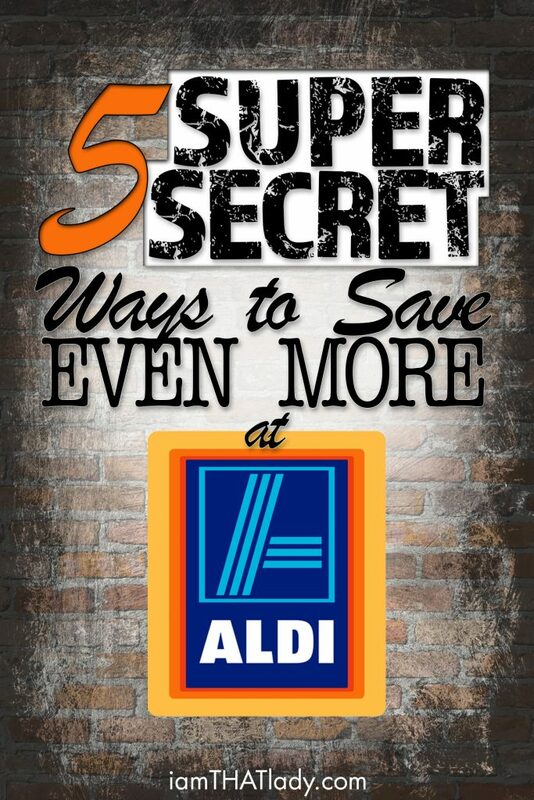 I hope these 5 ways to save at ALDI can help you save even more money while shopping there! It may take a few more minutes when you get home, but for a few extra dollars per week, I think it's well worth the time! No ALDI store in western Colorado. What a shame!!!!!! My daughter is a long-haul trucker and we’ve shopped ALDI stores in other states. We have a Savalot here and it is a far cry from ALDI. I only wish we could enjoy some good shopping. This blog was only advertising apps to download. I didn’t get and “Aldi” tips. I tried those apps. It is a lot of extra work for very little return. Not worth doing their market research for them.